Robert Edward Carlton, age 81 and Linda Lou Carlton, age 80, of Springfield, and formerly of Beardstown, died Thursday, November 29, 2018. He was born May 15, 1937 in Beardstown, the son of Joe and Nellie Blohm Carlton. She was born August 10, 1938 in Beardstown, the daughter of Harold “John” and Nellie Jump Brockschmidt. They were married September 6, 1959. They are survived by their children Todd (companion Chris Smith) Carlton of Beardstown, Doug Carlton of Beardstown, and Janet Carlton of Springfield; a granddaughter Dr. Chelsie (husband Tomas Alvarez) Carlton of Downers Grove; and Bob’s sister JoAnn (husband Ted) Curtain of Monticello. They were preceded in death by their parents and Linda’s sister Kaye Weimer. Linda graduated from Beardstown High School in the class of 1957. She worked at Beardstown Schools as a playground and cafeteria supervisor. When they moved to Springfield, Linda worked at the Abraham Lincoln gift shop. She enjoyed yardwork and flowers, but really loved being in her home with her family. 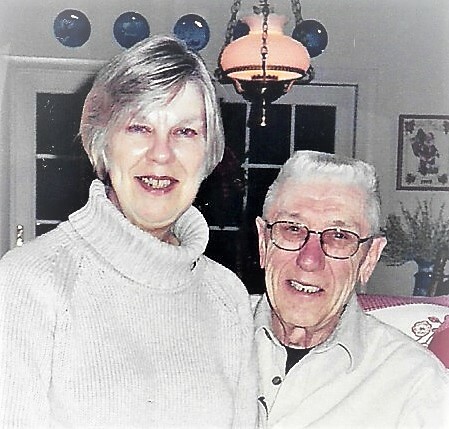 Bob graduated from Beardstown High School in the class of 1956, attended Western Illinois University in Macomb, and also served two years in the United States Army. He began working at CIPS in Beardstown, and later, retired from Ameren, as a warehouse and storekeeper of the Western Division.. He was a member of B.P.O Elks Lodge #1007 in Beardstown, where he had held the title of Exalted Ruler and also was a charter member of S.A.W, Springfield Area Woodworkers. He cared for his wife for the past years as she was dealing with Dementia. Bob enjoyed having fun with his family, and he always knew what gifts to give them for Christmas. A Celebration Luncheon will be held at 11 AM, Monday, December 3, 2018 at the Beardstown Elks Lodge. There will be no visitation or burial. Colwell Memorial Home in Beardstown is in charge of arrangements. Memorials have been suggested to American Alzheimer’s Association or American Diabetes Association. Condolences may be left online at www.colwellmemorialhome.com or on Facebook at Colwell Memorial Home.